Canada, are you ready? Lash Tribe is so excited to announce that: KyLa Kidd has joined us as OFFICIAL LASH TRIBE TRAINER CANADA!!! KyLa Kidd has joined us as OFFICIAL LASH TRIBE TRAINER CANADA!!! Kyla Kidd has been a lash artists for many years and has taken all of the Lash Tribe Courses over the last few years and been a support expert in all VIP groups, so we considered her part of our team for a while now. 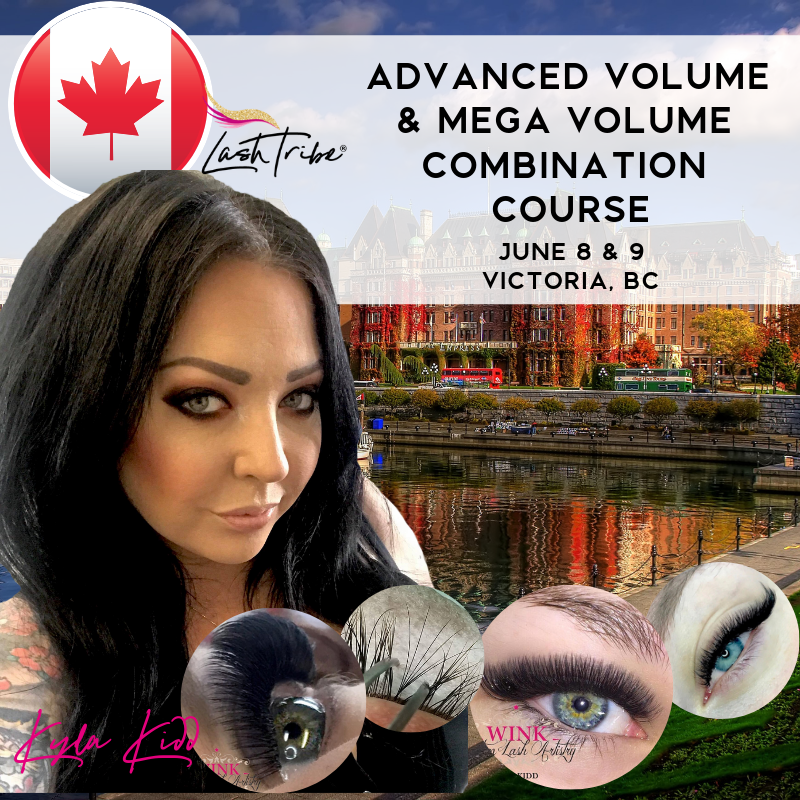 She is a NALA certified Educator, Lash Artist, Trainer & Owner of Wink Custom Lash Artistry & Academy, located in Saskatoon, Saskatchewan Canada. She is extremely passionate about this industry and it shows not only through her teaching but also through her work, which is immaculate! She has been nominated for 8 NALA industry awards, being in the top 3 in two of those categories and has also been published in Lash Magazines. Kyla specializes in Russian & Mega Volume Eyelash Extensions Training. Her current Lash Courses are highly sought after and sell out fast. Pump up the Volume & turn the drama way up! Are your clients always wanting MORE? Then this is the class for you. Kyla Kidd will take you through Volume techniques & application for a perfectly full & fluffy set on day 1. Day 2 is all about that dark lush appearance! Add some drama in your clients lives, and soak up their praise! Lash Tribe has got you covered with free access to their online courses & VIP groups, all included in your tuition! Tuition $1197 CAD plus tax. When we say advanced, we mean it! Let Kyla Kidd whip you into shape with the latest fanning techniques combined with time drills, proper directional lashing, learning advanced tweezers, and so many tricks! You'll be a star by the end of day 2! As an extra special bonus, Julia Mann will add you to her online course AND give you access to her VIP group where the fun continues! Are you looking to elevate your lash game? This course will help you pump up the volume & fine tune your craft with 5 fanning techniques, time drills, troubleshooting, adhesive science and more. Julia Mann has got your back with continued support in her online courses & VIP groups! All included in the tuition.